The West Point Society of the San Francisco Bay Area Founders Day will be on Saturday, March 16th at the Claremont Country Club in Oakland! The Marines Memorial Club will be hosting an Army Navy game viewing party at the Marines Memorial Hotel in San Francisco. Food: Kenny’s Heart & Soul – beginning at noon. Beverage: Faction Brewery and Old Kan Brewery; Water and Sodas available with Kenny’s beginning at noon. All interested guests are welcome aboard at 10:00AM when the museum opens and take tours, walk around the ship, and/or set up their chairs! The museum closes at 5:00PM. Facebook is hosting an Army/Navy Game watch party at FB HQ on Dec 8th and would like to extend the invite to the Bay Area USMA alumni community. The game will be shown on the jumbotron in Hacker Square. Food trucks and open bar will be provided. Spots go fast so please make sure to sign up soon! Ferment, Drink, Repeat will be hosting an Army-Navy Game viewing party. They have two TVs. You might want to check their website, or call Kevin and Shae for more information. No food, no registration – just show up! The B.A.M.C. 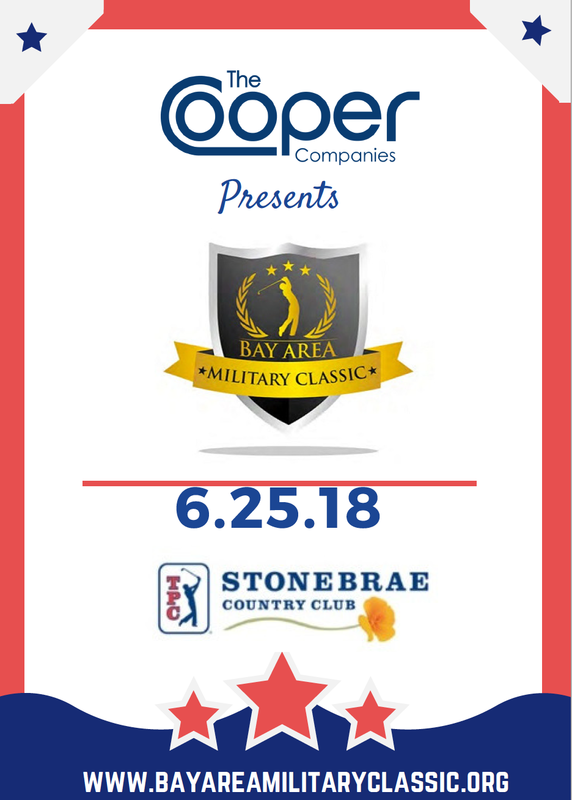 will take place on June 25th, 2018 at one of the Bay Area’s premier private golf clubs, TPC Stonebrae. The golf event is a one-of-a-kind opportunity to play an incredible, private, golf course while supporting a great cause. FIFTH ANNUAL Bay Area Service Academy Giants Game!!! On Sunday, June 3rd, Bay Area Service Academy alumni, family, and friends will gather at Tres in San Francisco for pre-game festivities before walking over to AT&T Park to watch the Giants take on the Philadelphia Phillies. Each ticket includes a seat at the game PLUS chips & salsa at Tres. Tres will also feature a cash bar and pay-as-you-go food. The West Point Society of the San Francisco Bay Area invites you to attend the 216th anniversary of the founding of the United States Military Academy. Armvy vs Navy (Beat 'em!) Watch Party! 2) Marine Memorial Club (Downtown San Francisco): Registration: http://mmanetcom.marineclub.com/armynavy2017. They're address is : 609 Sutter St, San Francisco, CA 94102. The game will be played at the Crystal Lounge. All ages welcome. No-host bar with a bartender and complimentary pizza. The West Point Society of the San Francisco Bay Area is pleased to invite you to attend our annual Founders Day dinner to commemorate the 215th Anniversary of Our Rockbound Highland Home. Please register early – only 180 people can be seated in the main dining room. We offer no assurance that we will be able to accommodate late registrants or walk-ins. Registration will close on February 28, 2017, or when we hit the maximum number of attendees, whichever comes first. Feel free to bring your favorite chair and enjoy the game on the big screen at Facebook headquarters! At the game, they will also hold a donation drive for the Menlo Park VA. They are looking for clothes (i.e. jackets, shirts, gloves, beanies) and toiletries (toothbrushes/paste, razors, soap, lotions) to provide to local Veterans in need for the coming winter months. Drop in and watch the game with Kevin Inglin ’93 at his new Brewery, Tap Room and Homebrew Supply FDR is located at 2636 San Bruno Avenue in San Francisco. They will have two TVs showing the game, and run a Happy Hour special ($1 off drafts) during the big Army win. Kid friendly, pet friendly, and please feel free to bring in your own food/snacks from home or from any of the dozen+ restaurants near the brewery. San Francisco, Calif. (October 5, 2016) — OneVet OneVoice announces the 5th Annual San Francisco Veterans Film Festival (SFVFF), spotlighting both veteran and civilian filmmakers addressing topics related to the military. The November 12-13, 2016 program, hosted by San Francisco Public Library’s Main Library in the Koret Auditorium, will be free to the public and offer films, panel discussions, presenters, and special events. The full program schedule will be updated online at SFVeteransfilmfestival.org as films are confirmed and finalized by Oct. 17. The West Point Society of the San Francisco Bay Area is holding a Benny Havens on Thursday, October 27th, 2016 in San Francisco. Come and enjoy the company of fellow alumni this month at the Marine Memorial Club, Chesty’s Bar on 609 Sutter Street San Francisco, CA. Join us and share a few drinks. Please RSVP to Nina Leslie at ninaleslie@earthlink.net if you plan on attending. A huge thanks to John for his timely and insightful remarks to future graduates of West Point as well as parents of current cadets. John is picture above speaking to the audience. John Swensson '65 stepped in to a special role as he gave a keynote address to the West Point Parent's Club of Northern California. Authentic remarks that came from his heart set John apart in a special way on a day meant to honor those recently granted admission to West Point, as well as further develop ties among the many parents of current cadets. A huge thanks to John for going to extra mile in his lifelong pursuit of selfless service and devotion to the long gray line. wear blue: run to remember, a non-profit running community founded by the widow of Class of 2001 West Point Alum CPT John Hallett, KIA 25 August 2009, is creating a living memorial to fallen service members at Rock'n'Roll San Francisco on Sunday, April 3, 2016. wear blue is honoring 100 fallen military members on this tribute mile, and needs 100 volunteers to hold flags in honor of each of these heroes. wear blue relies on the support of the community, to ensure that each of these service members are not forgotten. Many of these heroes' family and friends will be on the mile. To volunteer to be a part of this moving tribute and meaningful community support, please register at http://www.wearblueruntoremember.org/rocknroll-san-francisco.html. Please contact Lisa Hallett (lisa.hallett@wearblueruntoremember.org) with any questions. Volunteers will need to arrive by 5:30 am to account for road closures, and will be done by 8:30. It will be an early morning, but meaningful and beautiful. Finally, on Saturday morning, Lisa needs 3-4 runners to help take a few promo photos at Baker Beach. We are meeting at 6:30 to catch the sunrise, and will take about an hour. Are you interested/available in joining? Please reach out to Lisa direct. Please find full details and sign-up below. Hope to see you all there! CPT Kevin Mott is from San Rafael, California. He graduated from West Point with a Bachelor’s Degree in Spanish and Arabic in May of 2007. Upon commissioning, CPT Mott attended the Infantry Officer Basic Course at Fort Benning, GA. In June of 2008, he reported to Fort Campbell, KY, immediately deployed to Samarra Iraq in support of OIF 07-08 and served as a Platoon Leader in Charlie Company, 2-327 IN and redeployed from Iraq in November 2008. After serving as Platoon Leader CPT Mott then assumed duties as the Executive Officer for Charlie Company until being selected to serve as the Reconnaissance Platoon leader for his Battalion. CPT Mott deployed as the Reconnaissance Platoon leader in support of OEF 10-11. Upon redeployment, CPT Mott reported to Fort Benning, GA where he attended the Maneuver Captains’ Career Course before reporting to Fort Bliss, TX in April, 2012, assuming duties as the Assistant S-3 3-41IN. CPT Mott took command of Charlie Company, 3-41 Infantry in February 2013 in Afghanistan. CPT Mott led the Company for eight months of combat operations and redeployed in September of 2013. CPT Mott left Charlie Company in May 2014 and assumed command of HHC Brigade on 14 July 2014. CPT Mott left command of HHC Brigade Company in July 2015. CPT Mott was selected for the General Wayne A. Downing Scholarship, and currently attends Stanford University and is pursuing a Master's Degree in International Policy studies with a focus in International Security and Cooperation. CPT Mott’s awards and decorations include the Silver Star Medal, Bronze Star Medal with OLC, Purple Heart, Army Commendation Medal with OLC, Army Achievement Medal with OLC, Iraq Campaign Medal, Afghanistan Campaign medal, NATO Service Ribbon, Global War on Terrorism Service Medal, the Overseas Ribbon, the Ranger Tab, Combat Infantryman’s Badge, Expert Infantryman’s Badge, Parachutist Badge, Air Assault Badge, and the Pathfinder Badge. CPT Mott is married to Mrs. Lauren Mott of San Rafael, CA. Their first child, Keira, was recently born on 14 July 2015. Board Secretary Ben Faw (also '07), is excited to have his classmate join us. Ben is currently enjoying a new role as co-founder at BestReviews.com, providing content reviews for everything from dehumidifiers to water heaters, and many items in between. When you think of the voice-over industry do you think of either West Point or the San Francisco Bay area? Many are not aware of is the long history that West Point and the Bay Area in particular have regarding the voice-over industry. One of the names that many think of in the West Point world of voice over is Lloyd Walker, with almost a decade in the world of voice-over art. Lloyd is not alone among West Point alumni in this field, and yet his work is something worthy of noting. The Bay Area has produced top voice-over artists for many years. More than just voice talent, San Francisco also provides locations and agencies for people who are looking to train their voices, or take voice-over classes, or even produce demo’s for their existing voice over work. When we depart the San Francisco area, one of the top names that comes to mind nationally is the female voice actor Kim Handysides. Her work on E-learning voice-over in particular is nationally renowned. Another name that jumps to mind for many who cover the voice-over industry is J. Michael Collins. In particular when it comes to voice coaching, as well as demo production, J. Michael is in a league almost all his own. We recommend him to anyone who has enough experience to warrant investing in top quality support. Another female voice actor that we hear about frequently at the national level is Jodi Krangle. Jodi’s work as a female voice actor is regarded by many as one of the greatest in the industry. She also has a reputation as a teacher and mentor to those who are aspiring to build out their own careers. Last, and certainly not least, Laura schreiber is the thought leader when it comes to millennial voice over. When considering that pocket of the voice-over industry, we recommend you take a look at some of her content. She is also renowned for her work in the government voiceover arena as well. Laura’s work in these two areas is both impressive and worth putting on your radar for future work as well. Burgers, hot dogs, assorted sides. Please note: this is an age 21+ location. No prior registration necessary – just show up! On November 11, 2015, the West Point Society of the San Francisco Bay Area held its Annual Board Meeting and Benny Havens at the Marines Memorial Club in San Francisco. We had a great turnout – 19 people attended. Event likely to be held in Oakland. "Team of Teams: New Rules of Engagement for a Complex World." Please note the start time is 2pm. This is a free event. The West Point Society of the San Francisco Bay Area is holding a Benny Havens on Thursday, June 18, 2015 in Oakland. Come and enjoy the company of fellow alumni this month at Ozumo in Oakland! Located on Broadway in downtown Oakland, Ozumo is one of the hot spots for networking in Oakland with a delicious set of appetizers and great drink selections. Please join us and share a few drinks. Please RSVP to Ty Amey '99, at Tyriene.amey@gmail.com if you plan on attending. Come celebrate Military Appreciation Month with good food, good drinks, and Giants baseball! On Sunday, May 31, Bay Area Service Academy alumni, family, and friends will gather at Tres in San Francisco for pre-game festivities before walking over to AT&T Park to watch the Giants take on the Atlanta Braves. Light snacks will be offered, along with a cash bar and pay-as-you-go food. BASAP stands for "Bay Area Service Academy Partnership." All of Northern California's Service Academy alumni associations (USMA, USAFA, USMMA, USCGA, USNA and SVBN) have joined forces to bring you bigger events and more networking opportunities. Be on the lookout for more BASAP events throughout the year! Bret serves as the Chairman of Asurion overseeing the growth and success of Asurion’s strategies and business operations. He brings more than thirty years of proven leadership, business management and consulting experience to Asurion’s executive team. Bret’s prior business experience includes CEO, COO and General Manager positions at companies such as Excite@Home, Kendara, Risk Management Solutions and the U.S. Army Corps of Engineers. He also worked at McKinsey & Company, consulting to Fortune 500 companies on strategic, operational and organizational issues. Bret graduated from the United States Military Academy at West Point with a Bachelor of Science in engineering and earned an MBA from the Graduate School of Business at Stanford University. He serves as an officer of the Board of Directors for CTIA - The Wireless Association. Bret is a member of the Stanford University Board of Trustees, serves as chairman of the GSB Management Board, and is a member of the Board of Directors of Stanford Hospital and Clinics. Don’s past experience includes leadership positions at Pinterest, Facebook, and Google as well as in the United States Marine Corps. He served as the Head of Operations at Pinterest, where he led community support and outreach, international growth, and business partnerships and sales. Before Pinterest, Don served as the Vice President of Online Operations at Facebook, where he built and led the company’s global user, developer and payments and risk operations teams. Don joined Facebook from Google, where he built and managed the operations supporting merchants using Google’s commerce and payments products. He started his career as a Marine Infantry Officer, serving as a Platoon Commander with 1st Light Armored Battalion and 1st Force Reconnaissance Company. Don completed combat tours in both Afghanistan and Iraq before leaving active duty in 2003. Don graduated with Honors from the United States Naval Academy with a BS in Systems Engineering and received his MBA from the Stanford Graduate School of Business. Don currently sits on the board of Nuru International, a non-profit focused on battling extreme poverty through sustainable development efforts and the Marine Corps Scholarship Foundation, an organization that provides college scholarship to the children of Marines. Don left Pinterest in February 2015 and will take some time off before his next opportunity. Please join us at Benny Havens Hour and share a few drinks in San Francisco. PRICE. $50.00 per person. USMA Candidates/Cadets are free. NOTES. All guests, family, and friends are welcome. This is an All-academy event, so whether your son or daughter is about to join, or currently at or was at the USMA, USNA, USAFA, USCGA or USMMA, you are an academy grad, you are all welcome to attend as we are all united in the bonds of the military family. Club Members - Please remember to bring a raffle prize or a gift basket. QUESTIONS. Contact Sandra Gomez, First Vice-President of the West Point Parent Club of Northern California, at 707.422.3607 or vpsandragomez@gmail.com. Ivy Plus Society's Spring Fling! Have a fling this Spring with The Ivy Plus Society! We're going back to our roots and celebrating each other Ivy style at one of the oldest joints in San Francisco -- Raven. This classic cocktail lounge dates back to 1900s and guarantees great music and speciality cocktails. Buy One Get One Free tickets are blooming, grab them before they are all picked. This is a FREE event. REGISTER ONLINE TODAY. Please plan on joining us for our 4th Annual Salute to Iraq and Afghanistan War Veterans. The event will start with a commemoration program at 7:00 pm. We are fortunate to have General James N. Mattis, USMC (Ret. ), former Commander of the US Central Command back as our guest speaker this year. The Central Command is one of 10 Unified Commands. Five of these commands are combatant commands with geographic boundaries, and the Central Command area stretches from Egypt to Pakistan, including Iraq and Afghanistan and the Nations in between. General Mattis is one of our Nation’s most combat experienced General Officers. As an infantry battalion commander, he led his battalion on the attack to seize Kuwait International Airport in Operation Desert Storm. Ten weeks after the Sept. 11 terrorist attacks, then-Brigadier General Mattis was commanding Task Force 58 when he launched six CH-53E Super Stallion helicopters from the amphibious assault ship Peleliu. His Task Force traveled nearly 400 miles from the North Arabian Sea before touching down in Afghanistan. Task Force 58 combined 8,000 Marines and sailors from the Peleliu and Bataan amphibious ready groups. Within a few days, he had landed his Marines on the dusty airstrip in Kandahar province, breaking the back of the Taliban leadership in Kandahar. The Nov. 25, 2001, mission is considered the deepest insertion of Marines from the sea into a combat zone in our nation’s history. He remained in Iraq until August, and then returned his Division back to Iraq to fight the 1st battle of Fallujah in April 2004. As a lieutenant general, he commanded the Marine Corps Combat Development Command and then the I Marine Expeditionary Force as the commander of US Marine Forces Central Command in Iraq and Afghanistan. As a 4 star general, he served as both NATO’s Supreme Allied Commander Transformation from 2007-2009 and as commander, US Joint Forces Command from 2007-2010. In the summer of 2010, he was selected to command the U.S. CENTRAL Command. After Gen. Mattis' talk, all Iraq and Afghanistan Veterans are invited to join him for a reception. Join us for the 50th anniversary of the Vietnam War for an evening honoring Viet Nam Veterans. Our Guest of Honor is Paul “Buddy” Bucha who is the recipient of the Medal of Honor. He’ll speak, followed by showing of “Last Days in Vietnam”, Academy Award nomination for Best Documentary. Our commemoration program will be followed by a grand reception with open bar, carving stations, plenty of hor d’overves, live music and dancing. • 5:30 pm Registration | 6:00 pm Special screening of the documentary, "Last Days in Vietnam"
• Following Film Screening: Grand Reception with live music from the era, hors d' oeuvres, desserts and open bar. Ticket price includes a taco bar, slider bar, various salads and other sides, non-alcoholic beverages. Ticket price includes choice of burger or hot dog, assorted sides, and non-alcoholic beverages. Please note: this is a 21+ location.